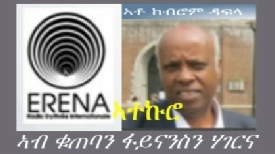 ኣብ ወጻኢ ዝነብሩ ኤርትራውያን፡ ኣብተን ዝንብሩለን ሃገራት ዘሎ ቁጠባዊን፤ ተክኖሎጂካውን፤ ስነፍልጠታውን ዕቑር ጸጋታትን ዕድላትን ብዝላዓለ ኣድማዕነት ንኸጥቀምሉ እንታይ ክገብሩ ኣሎዎም? 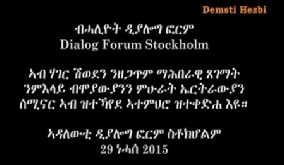 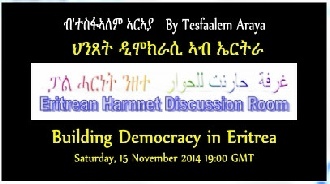 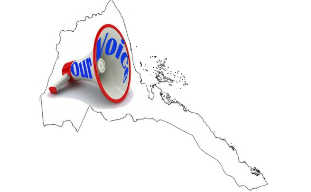 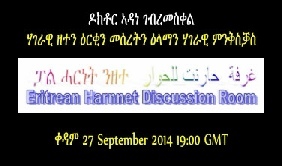 The topic is not only important and timely, but also touches every life aspect of the Eritrean society. 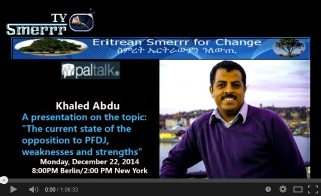 Mr. Khaled discussed "Eritreans in Diaspora and the challenges of integration". 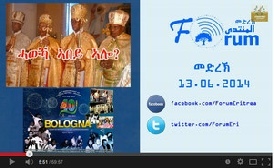 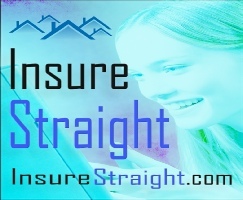 2) ናይ ምዕራባዊ ቅዲ ወይ ስርዓተ-ዲሞክራሲ፡ ምስ ኩነታት ኤርትራ ክኸይድ ይኽእል'ዶ? 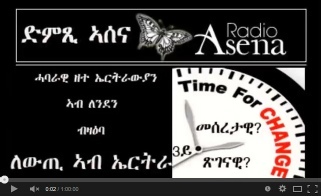 3) መልሲ ፕረሲደንት ኢሳይያስ፡ ምዕራባዊ ዲሞክራሲ፡ ምስ ኤርትራ ዝኸይድ ኣይኮነን። ብዓይኒ ኣብ ወጻኢ ዘለዉ ተቓወምቲ ውድባት'ከ እቲ ኣማራጺ እንታይ ክኸውን ይኽእል? 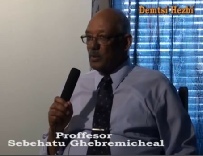 Former Freedom fighter Mr. Oqbai Tesfamariam, shares his experience.